Hello everyone, I’m back with another halloween post! I’m going to talk through a halloween eyeshadow look, that has the effect of bruised looking eyes. This look could go well with dressing up as maybe a skeleton, witch, cat, anything you care to think of really. So lets get into this. Firstly we’re going to take the Maybelline Color Eye Tattoo in the shade Pomegranate. If you don’t own this, then I know there are many cream eyeshadows similar, but if you had a shade similar, cream or powder use this to cover the whole of your eye lid. If you are using a cream colour, just put some on your finger to cover it. It doesn’t matter if its messy, because thats what blending is for. Taking the Real Techniques Deluxe Crease brush, start to blend into the crease and just underneath the eye gently. 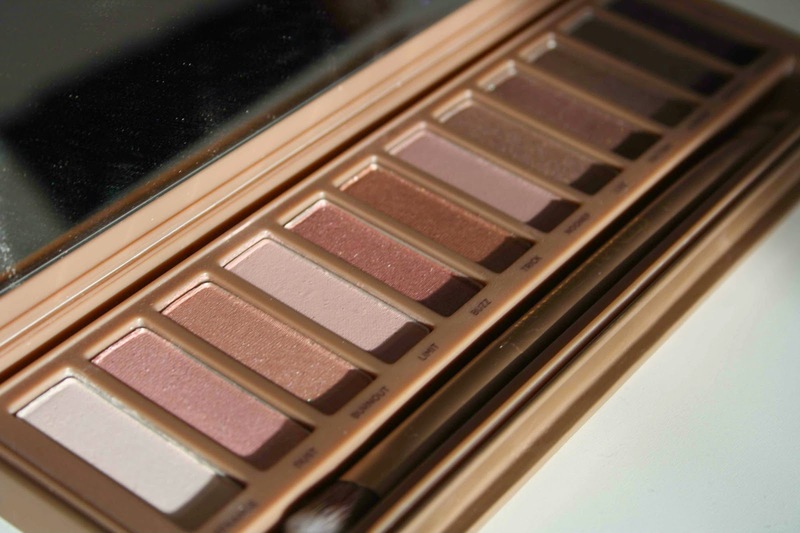 After that, we’re going to use the Naked 3 palette to add in some more colours and warmth. Taking the shade ‘Darkside’ which is the second to last shade in the pallet, run the through the crease over the top of the base shadow. You can also bring that down to under the eye as well. Then to brighten it up a little, take the shade ‘Trick’ and run that just above your top lash line and blend it up a bit, as this will give it a small burst of shimmer and brightness. Then finally take the darkest shade of them all, ‘Blackheart’ and use an angled brush or a brow brush, to go along your top lash line as you would with eyeliner. If you find eyeliner easier to use, you can do that and wing it out, but I chose to just stick with a dark eyeshadow and wing it out. Also you can bring that under your bottom lash line. As an added extra I took that down along the bone of my eye socket with a flick as I thought this looked quite unique and more halloween like? haha. I hope you enjoyed this post and will maybe try it out or interpret it in some way. Thanks for reading!